Kelsie has a Bachelors degree from UW-Eau Claire in Mass Communications and a Masters degree from Globe University in Managerial Leadership. She currently is a HR Generalist for Nestle Nutrition. Kelsie started her career in Human Resources within training and development but has since developed a passion for strategic management and labor relations. Kelsie also has a background in teaching and enjoys delivering seminars related to adult learning, coaching, employee/labor relations, and a variety of other topics. She has previously held the board positions of Membership VP, Programming VP, and President of her local CVSHRM chapter. 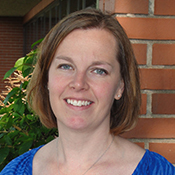 Jennifer is a graduate of UW-Whitewater with a Bachelor of Business Administration/HR Major. She currently holds the SHRM-SCP and PHR credentials. She physically sat for both certifications. Currently, she is employed at Avon Dairy Solutions, a division of Avon Rubber & Plastics as their Sr. Human Resource Manager. She currently over sees all aspects of Human Resources including the overall benefit administration for the US (multiple divisions) and Brazil locations. Previous work experience includes Healthcare industry as a payroll and benefits specialist and a Generalist in manufacturing. Chris is a Workforce Technology Consultant for Associated Risk and Benefits Consulting where she helps clients identify their HR technology needs, guides them through a selection process and finds the best-fit technology solutions to meet their organizational goals. Prior to her current role she was an HR Director for over 24 years for a non-profit organization in Madison. Following a move to Milwaukee, she was an HR Consultant until the company was purchased and she was transitioned into her current role. 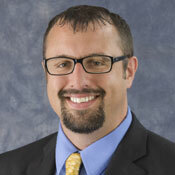 Chris has a Bachelors degree from Upper Iowa University in Human Resources and a Masters degree also from Upper Iowa University in Organizational Development. She is a SHRM Certified Professional (SHRM-CP) and a Certified Professional in Human Resources (PHR). Previously she served on the GMA SHRM for 5 years and was Co-Chair of a Special Interest Group (SIG) for Metro Milwaukee SHRM for 2 years. She has served on the WI SHRM State Council for the past 6 years and is in her third role. Karen Sinette is the Director of People Experience at Elevate97, a marketing solutions company. Elevate97 creates, produces and distributes innovative marketing solutions—from little boxes to big storefronts—for world-renown retail brands. Located in Green Bay, Wisconsin, Elevate97 partners include TaylorMade-adidas Golf, Carhartt, Green Bay Packers, Nautica and Pandora Jewelry. Karen has more than 20 years of human resource and organizational development experience. In her current role, she has overall responsibility for people experience and strategy, which include; employee relations, recruitment and retention, employee benefits, performance management, worker’s compensation, organizational and career development, and legal compliance. 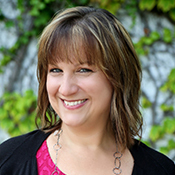 Karen is a SHRM Certified Professional (SHRM-CP) and a Certified Professional in Human Resources (PHR) and a long-standing, active member with SHRM and of the Green Bay Area Chapter SHRM (GBSHRM), serving in the positions of Director of Membership and President. As the Manager of Talent Acquisition, Jay is responsible for leading the Plexus Neenah Operations Talent Acquisition team to develop talent acquisition strategies for candidate sourcing, recruitment and selection, campus relations, community partnerships, social media recruitment, and team development that will bring great talent to Plexus. Prior to Plexus, Jay spent 15 years at Goodwill NCW as the Senior Seeker of Talent. Before Goodwill, Jay worked as an HR Generalist at Dunham Express in Milwaukee. Jay received a Bachelor’s degree in Human Resource Management from the University of Wisconsin-Whitewater in 2000. Jay earned his certification as a Professional in Human Resources (PHR) in 2003 and his SHRM-CP in 2014. Click Here to visit the Local Chapters Map for District Director contact information.